GoDaddy will try a real-world prank/stunt in the second of its two Super Bowl commercials this Sunday, as a woman will quit her job in front of the world to pursue her dream of starting her own business. 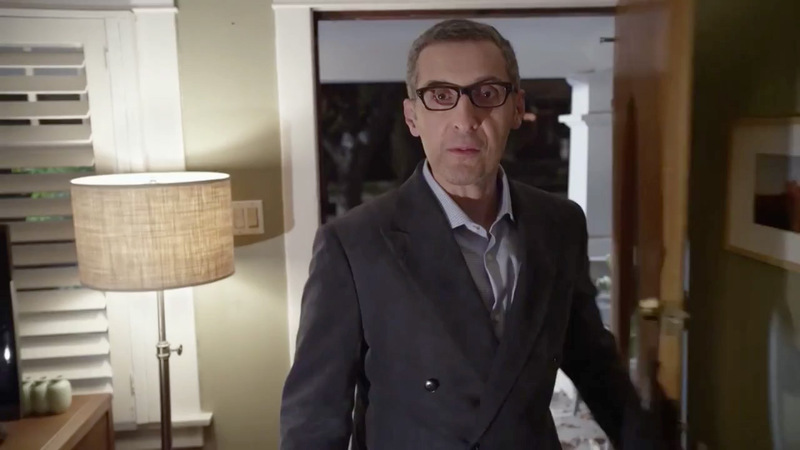 The Web-hosting company released a teaser for the spot on Tuesday in which actor John Turturro sets up the premise. "Let's talk about dreams, and the people who choose to pursue them. Like [BLEEP]," he says, as a picture frame with a question mark appears. "She's a real person with a real dream of starting her very own business. And she's got a message for her boss in front of 100 million people." The gambit is clearly inspired by prank videos. Presumably the woman's boss had no idea this was coming, and will have a genuine reaction—positive or negative—that could be fun to see. UPDATE: GoDaddy sent through some more information. "Her boss doesn't know!" the company says. "He or she is going to find out while watching the commercial with the rest of the viewers—after the commercial, a formal resignation letter will be delivered and she'll give her two-week notice." The stunt also recalls Marina Shifrin's spectacular late-night job-quitting dance from the super-viral video she posted last year. People just like seeing other people stick it to their boss. The concept would work better for a jobs site, but GoDaddy could make it work, though at 30 seconds it might be tough. GoDaddy is evolving its messaging away from sleaze and toward a more respectable focus on women as business owners. The company's other 2014 Super Bowl spot, already released in full, stars Danica Patrick as one of many bodybuilders seeking a spray tan from a GoDaddy-using business owner.